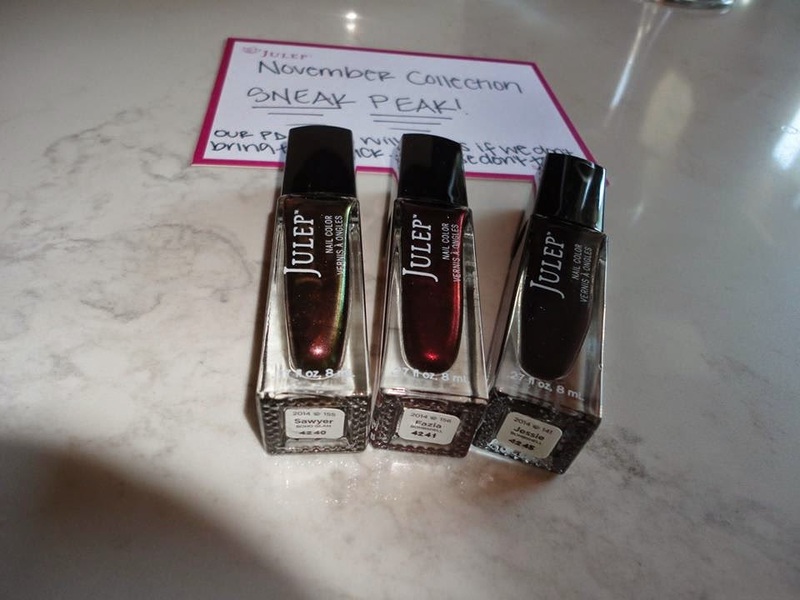 The Polish Jinx: Julep November Sneak Peak! 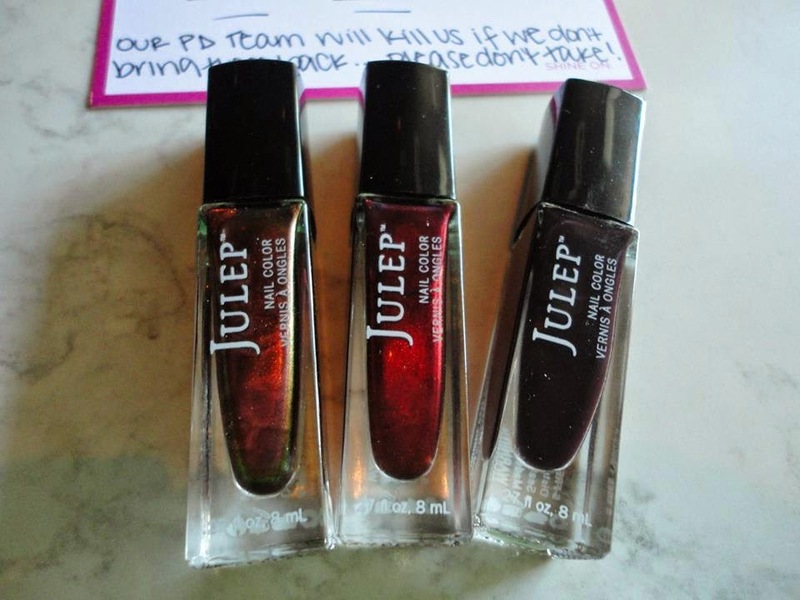 So for those of you who were wondering, here is a bit of a November Sneak Peak! The first two shots are from Margaret, and the bottom one from Faye. I thanked them in my last post, but I am so thankful that they were willing to share these shots with me since I was unable to attend the event!